The deepest hole ever made by humans is Kola superdeep borehole. It is located in Kola Peninsula in Russia, was completed in 1989, creating a hole 12,262 meters (7.6 miles) deep. 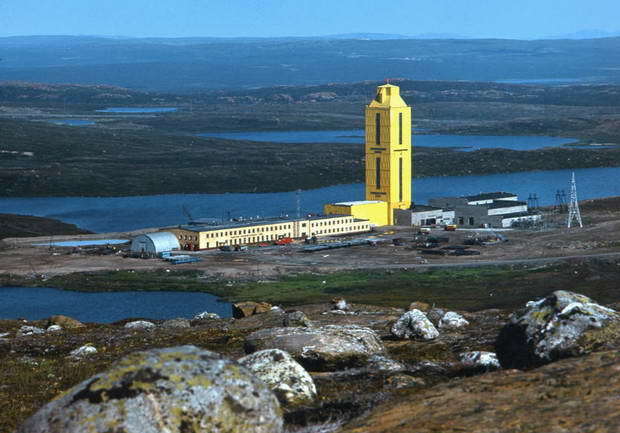 The Kola Superdeep Borehole is the result of a scientific drilling project of the Soviet Union in the Pechengsky District, on the Kola Peninsula. The project attempted to drill as deep as possible into the Earth’s crust. Drilling began on 24 May 1970 using the Uralmash-4E, and later the Uralmash-15000 series drilling rig. A number of boreholes were drilled by branching from a central hole. The deepest, SG-3, reached 12,262 metres (40,230 ft) in 1989 and still is the deepest artificial point on Earth. For two decades it was also the world’s longest borehole, in terms of measured depth along the well bore, until surpassed in 2008 by the 12,289-metre-long (40,318 ft) Al Shaheen oil well in Qatar, and in 2011 by 12,345-metre-long (40,502 ft) Sakhalin-I Odoptu OP-11 Well (offshore the Russian island Sakhalin). The project was closed down in late 2005 because of lack of funding. All the drilling and research equipment was scrapped and the site has been abandoned since 2008.